What is the MSRM US750 can help you. The MSRM US750 Wi-Fi Range Extender extend your existing home network, so that WiFi Signal can be going through all of your walls in your home. It works with any router and provides Wi-Fi for HD video streaming and gaming even in remote places of your home. Get the connectivity you need for iPads, smartphones, laptops and also it can work lie a wireless router. 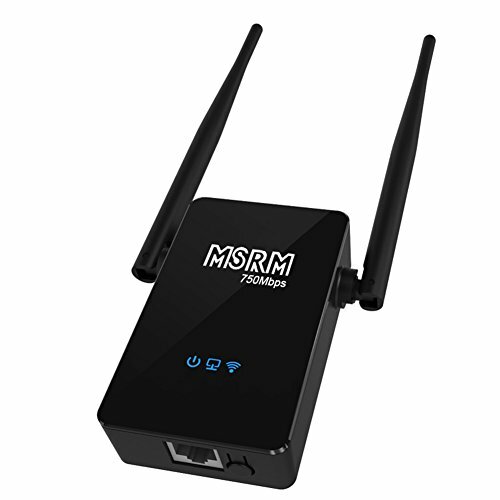 MSRM US750 is Built-in Dual Realtek Chipset, which ensure strong signal from the CPU, and it transmits at both the 2.4GHz and 5GHz frequencies at the same time. It extends 2.4GHz and 5GHz Wi-Fi up and reduces interference. So no matter which band your wireless devices use, they'll connect to the best available band for the fastest possible performance. An instant private wireless network and share Internet to multiple Wi-Fi devices. High-speed Data Transfer Rate for better performance to penetrate walls or across multi floor house.